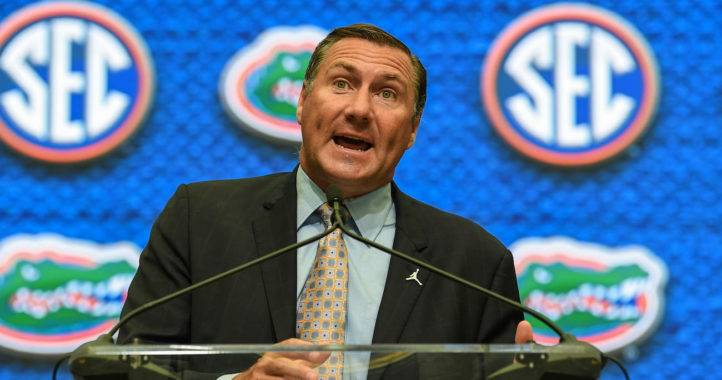 GAINESVILLE — From the moment he Gator chomped his way off the University Athletic Association’s chartered jet late last November, Dan Mullen has had all the right moves since taking the reins as HBC at Florida. He’s crushed it with fans on the rubber-chicken circuit, hailing the Tim Tebow-led glory years and proving he gets the culture and expectations in a way Jim McElwain never did. Mullen signed an outstanding transition recruiting class, highlighted by a head-to-head QB recruiting win for the services of highly touted Georgia product Emory Jones. He’s put Georgia on notice that Florida isn’t going anywhere in a rivalry it has dominated for most of three decades, no matter how well Kirby Smart has it rolling in Athens. And he’s brought an esteemed group of NFL alumni back into the fold — making Florida football feel like a family again after the standoffish McElwain made the program seem insular and detached. But while Mullen was certainly hired in part because he understands the culture at Florida, he was largely brought in because the biggest part of Florida’s football culture — a potent and fun offense — has been lost in the swampy north Florida woods since the Tim Tebow departed. A disciple and in some ways, co-author of the Urban Meyer spread offense, Mullen is a proven offensive mind and innovator with one of the most impressive quarterback resumes in football, college or pro. Mullen was hired to put that brilliant mind to work to fix Florida football. And while Mullen is unlikely to turn a true freshman Emory Jones, a reclamation project in Feleipe Franks, or the lightly-regarded duo of Kyle Trask or Jake Allen into Tim Tebow or, for that matter, BCS national championship game MVP Chris Leak overnight, he does inherit some talented offensive personnel. 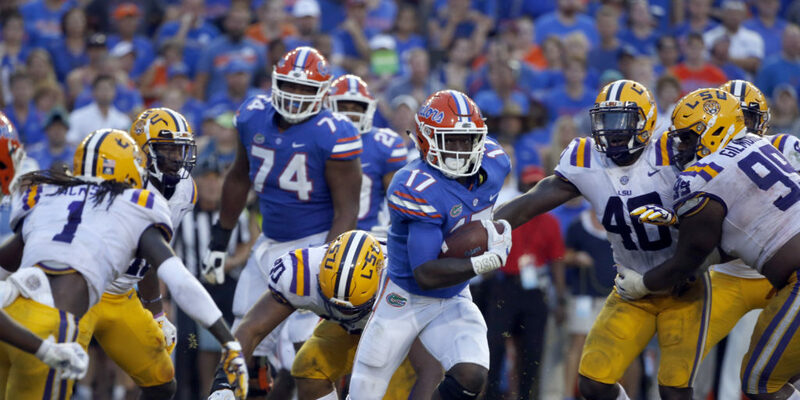 This is especially true in the running game, where a stable of weapons including slot or “H” receiver Kadarius Toney joins a backfield quartet of Jordan Scarlett, Malik Davis, Lamical Perine and Adarius Lemons, along with highly-regarded true freshmen Dameon Pierce and Iverson Clement. If Mullen can develop a quarterback just enough to use an improved group, well-coached group of wide receivers, he should have enough in the passing game to keep most defenses honest. The simple threat of the pass should allow Florida to get downhill a bit in the run game, which is where Mullen’s spread offense thrives. While Mullen’s offense retains some passing concepts (especially vertically), the heart of it is a zone and power run game rooted in horizontal deception. Florida will use three, four and five wide receiver sets to spread the defense out sideline to sideline, only to use outside receivers primarily as blockers or vertical route runners while using inside receivers as either functional running backs who see their action on the perimeter or flex option receivers who can set the edge on power runs or be flexed out to offer a wide super mobile blocking option. Conceptually, the idea is to have a variety of runs available in any given formation, with complementary play calls available to punish defenses that overplay a base run. Florida’s running back stable, along with electric sophomore playmaker Toney, is well-suited to run this type of offense. First, in Toney, the Gators have the playmaker Mullen likes to use as the H-back or slot. Used primarily as a pitch man or jet sweep running back, this player complements the running back, who is used as an inside runner, and the other inside receiver, who is usually a wide blocker. Mullen also likes to use quick slants and, in play-action, seam routes with this player, two less than complicated routes that should suit Toney, even as he adjusts to playing receiver full-time this spring. Mullen said this spring he wants Toney to focus on the receiver aspect of his game, trusting the young man’s pure instincts as a runner to make plays in the running game. Last season, even in the vanilla schemes dreamed up by Doug Nussmeier, Florida averaged a first down every 1.6 touches Toney had. Those are outstanding numbers and should improve in an offense better-suited to hide the fact he’s the player getting the ball. 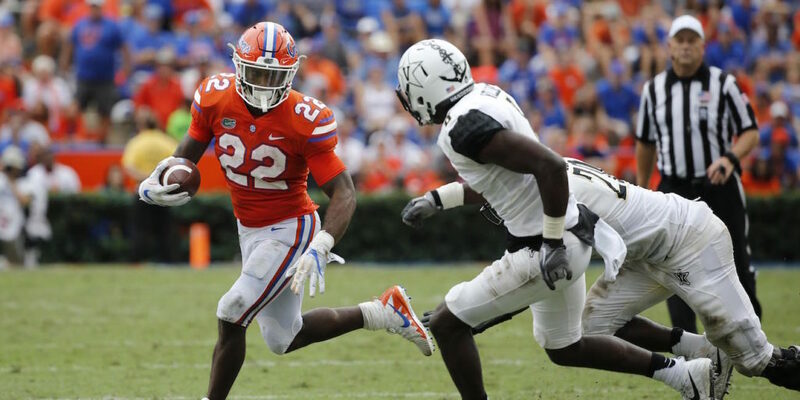 At tailback, Florida is in even better shape to implement both the power and zone principles of Mullen’s running attack. Florida’s depth and production at running back is especially important because it balances out one more predictable variable of the Mullen/Meyer spread: the idea it must predominantly run the quarterback to be successful. At its best, the Mullen spread is less quarterback reliant in the run game. To be sure, Mullen’s quarterback runs complement the running back runs. But history dictates when Mullen has outstanding personnel at tailback, he uses it extensively (see Anthony Dixon’s 1,391 yards on 63 percent of team carries in 2009, Vick Ballard’s 1,189 yards on 61 percent of team carries in 2011, and Robinson’s 1,203 on 45 percent in 2014). Traditionally, Mullen wants to use his running backs primarily in zone sets, while preferring his quarterback in power sets, though it remains to be seen how often this will occur in Year 1 at Florida, given the running limitations of two of the options (Trask, Allen) and uncertainty surrounding the other returning quarterback option, despite his athleticism (Franks). One option is to use Emory Jones as the power runner, similar to the manner Tebow was used as a freshman for Mullen in 2006. In this power scheme, Mullen would be using a big running back (Perine or Pierce, probably) ahead of him and plunging at a gap. The other main principle, and probably more suitable for the freshman Jones, is to run a zone read wide with Toney as the lead blocker for Jones on the edge or a running back following Toney or a tight end through the tackles. More likely, however, is that Mullen rides his stable of talented tailbacks heavily in year one, relying on Toney to keep defenses honest on the edge. 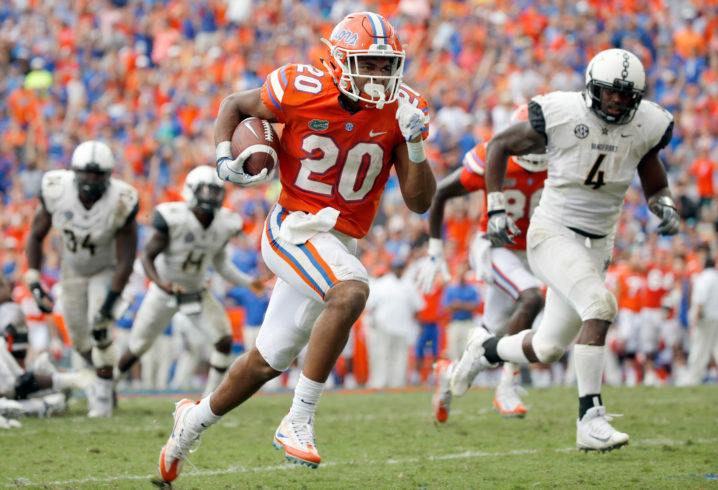 With Malik Davis recovering from a knee injury suffered late last season, the Gators have three running backs this spring that appear to fit the Mullen bill best. The first is Lamical Perine, a powerful runner that likes to get downhill, especially to his left (4.8 yards per carry). If Florida goes power, Perine can either lead the way for the quarterback or handle the duties himself, and he’s productive after contact, leading the team in that statistic last season. Perine could be more decisive about hitting gaps, but running in a zone scheme more concerned with opening creases than blowing anyone off the ball, Perine’s patience could be a virtue as he waits for a pulling guard or for the right crease to open. An All-SEC candidate a year ago until his suspension as part of the Credit Card Nine, Scarlett is a talented ball carrier whose high leg turnover and ability to change directions and collect yards after contact are both well-suited for Mullen’s zone blocking schemes. Scarlett isn’t a great blocker, which limits his effectiveness in power sets, but Florida can offset the predictability of his presence in the game by playing Jones with him at times and keeping defenses honest on the perimeter with Toney and Tyrie Cleveland’s ability vertically. Collectively, then, Florida has plus-to-outstanding personnel for the various looks Mullen’s offense hopes to present defenses in the running game. 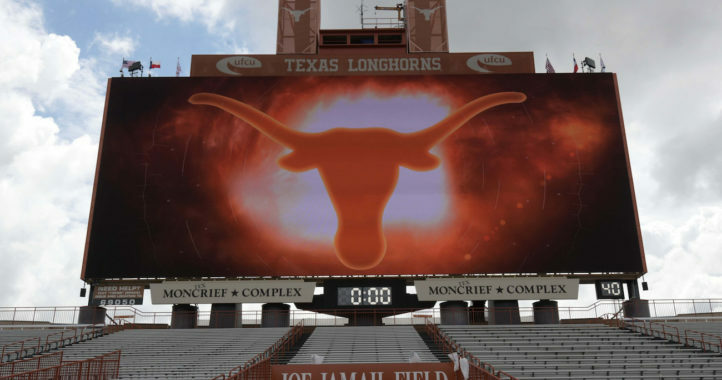 The key this spring and heading into fall camp will be determining who the staff can trust as workhorses to do the heavy lifting as the quarterback situation develops. I think Florida and Arky will be the most improved teams. I am writing this after UF’s loss to Kentucky and Arkansas’s loss to Colorado State. At this point, I do not think 2018 will see Arkansas and UF as the most improved teams. Maybe Georgia should just forfeit our game with them when we get to that weekend? Maybe Florida won’t lose by 35 again. MSU went 7-6 in Relf’s senior season while Relf has a 10-9 TD to interception ratio. He was better as a junior, but still far from great. UF will need way more than that.